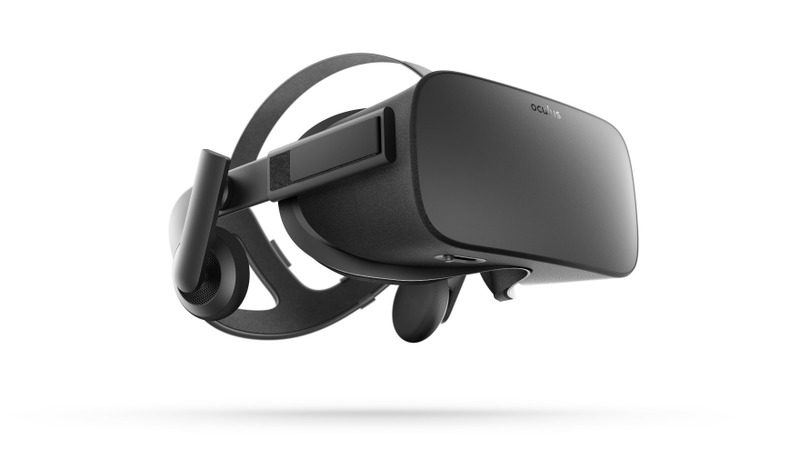 Oculus Rift is a first of its kind consumer virtual reality system, delivering high-quality, positionally tracked virtual reality (VR). Simply put, Rift is a portal that transports you to places you have never been and lets you do things you never thought possible. Whether you're stepping into your favorite game, jumping to an exotic destination, or hanging out with friends in VR, you'll feel like you're really there. For decades the world has dreamt of virtual reality. Like flight or travel to the moon, it had been theoretically possible, but technically unattainable - essentially living in the realm of science fiction. Starting with a duct-taped prototype and a clear vision, Oculus recently proved that technical hurdles of the past were finally surmountable, igniting what would become a global race to consumer VR. Enabled by advances in smartphone components, optics and many other related industries, Rift combines cutting-edge technology to deliver experiences that are truly greater than the sum of its parts. 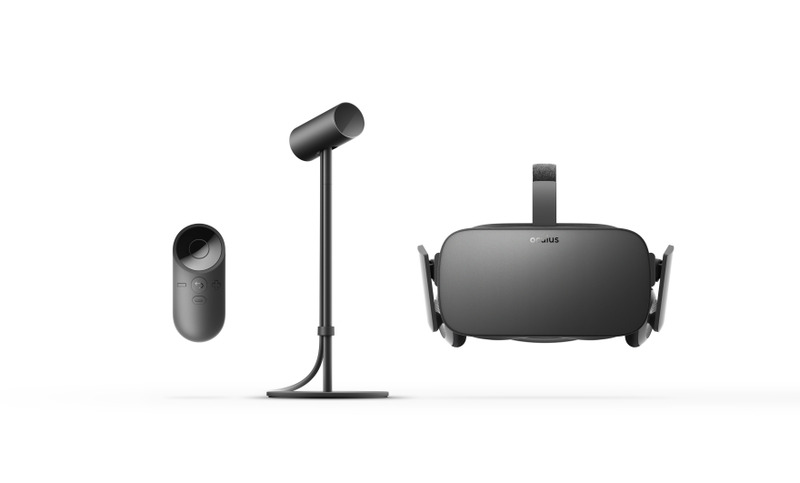 Following two successful developer kit releases over the course of Oculus' four year existence, the eyes of the world are now on a product is the first true consumer virtual reality system.The design and delivery of the consumer Rift ecosystem is a critical step toward bringing virtual reality out of the realm of science fiction and into your living room. 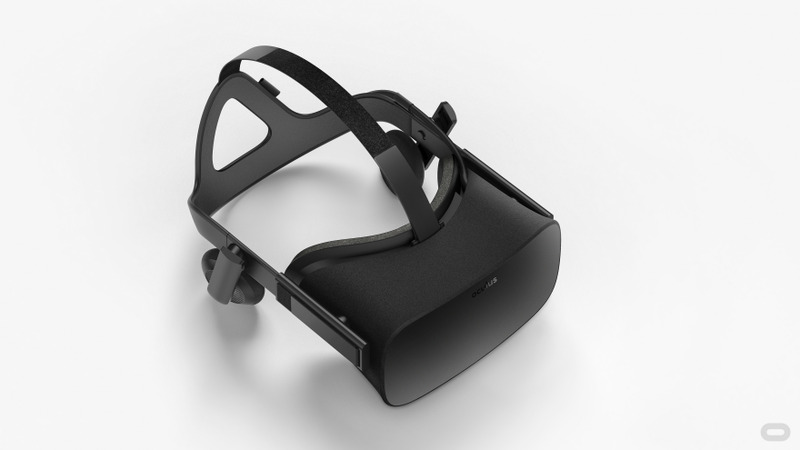 Rift is more than a family of hardware products. It's a fully-integrated hardware/software system that fundamentally changes the way humans interact and communicate with the digital world. 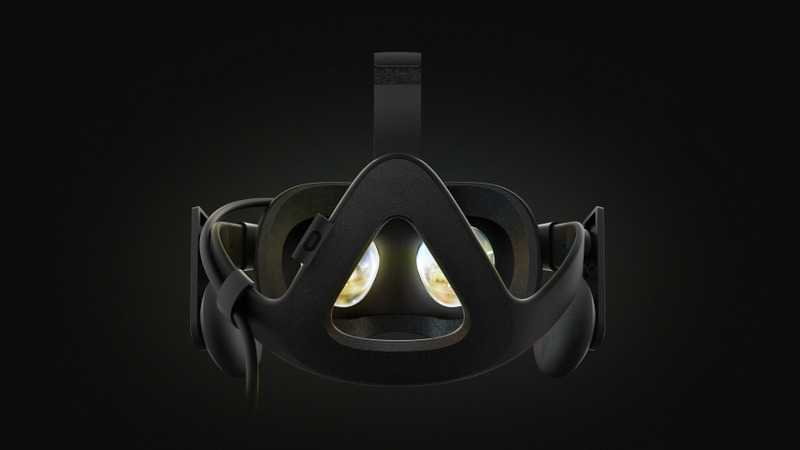 The sum of all design decisions across hardware and software are what makes Rift a cutting-edge VR experience that's comfortable, easy to use, and something people will want to use over and over again. Rift's hardware ecosystem consists of a headset, sensor, remote, xBox controller, and will offer tracked Touch controllers in late 2o16. 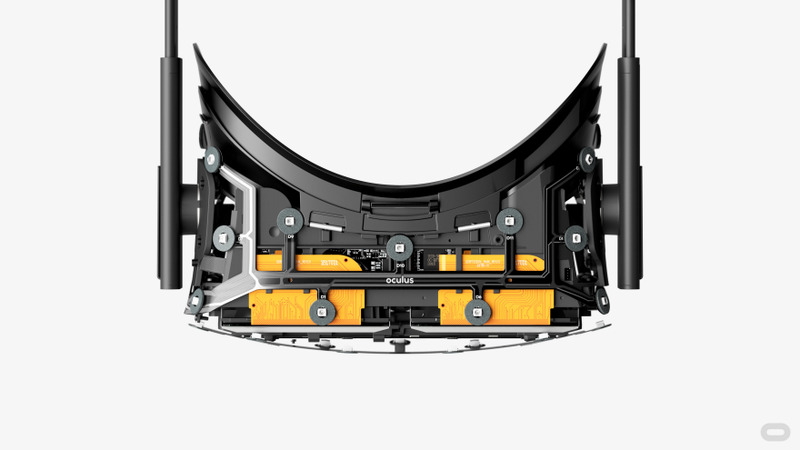 Rift's custom, made for VR screens and lenses work together gives users a large field of view and true stereoscopic depth. When combined with a sensor that captures and translates your movements into VR, it makes you feel like you are really there. Like the early days of the internet or the smartphone, the possibilities of virtual reality appear limitless - what we know VR to be today is only a small fraction of what's possible in the future as technology continues to advance. VR will soon redefine long distance social interactions, offer immersive experiences that rival those in the real world, provide new depth and clarity in education, and make a fundamental shift in how we interact and engage with information. Why look at a 2D representation of a place when you can experience it with your sight, sound and touch? Products as amazing as the experiences they enable. Virtual reality often conjures images of large cumbersome hardware so complex it could only exist in academia or classified military labs. Creating a consumer VR system is largely about dispelling these old ideas while reducing the barriers to entry for average consumers. 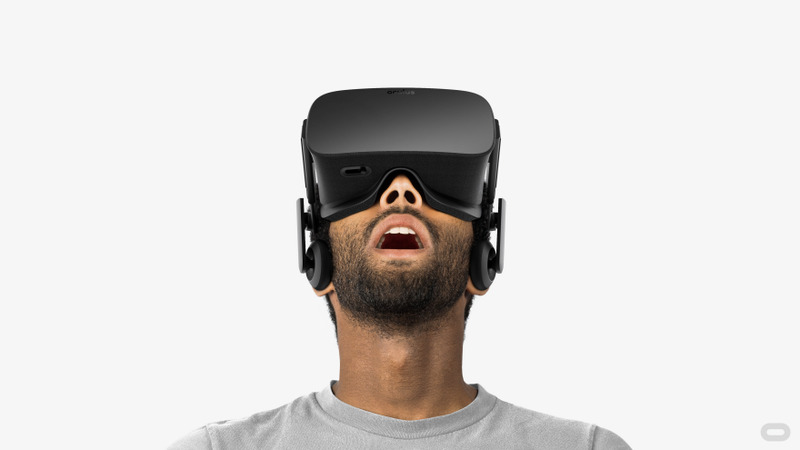 Oculus Rift is a consumer virtual reality system, delivering high-quality, positionally tracked VR to consumers for the first time. Simply put, Rift is exactly what you imagine: a portal that allows you go places you have never been, do things you never thought possible. With two dev kits released and the eyes of the world on a product release that will likely be the first true consumer virtual reality system, the consumer Rift ecosystem is one of the most highly anticipated and watched consumer product launches in recent times. Everyone is different, and the Rift Headset is designed with enough adjustability to fit most people comfortably. The main strap system combines a compliant material in the rear section with structural support up front to distribute weight and take pressure off your face. Intuitive tabs on the top and sides allow for easy size adjustment and infinite customization. 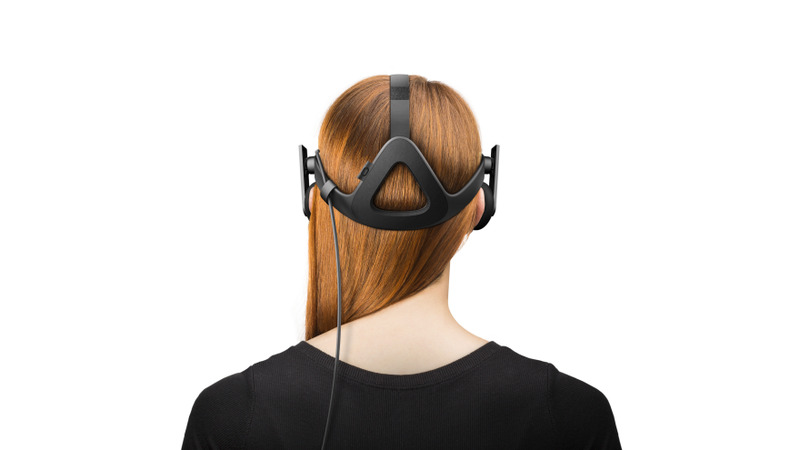 Once the headset is setup for you, it slips on and off in a single motion, allowing immediate access to the virtual world. The elegant and unique outcome is highlighted in a silhouette that is inherently iconic. 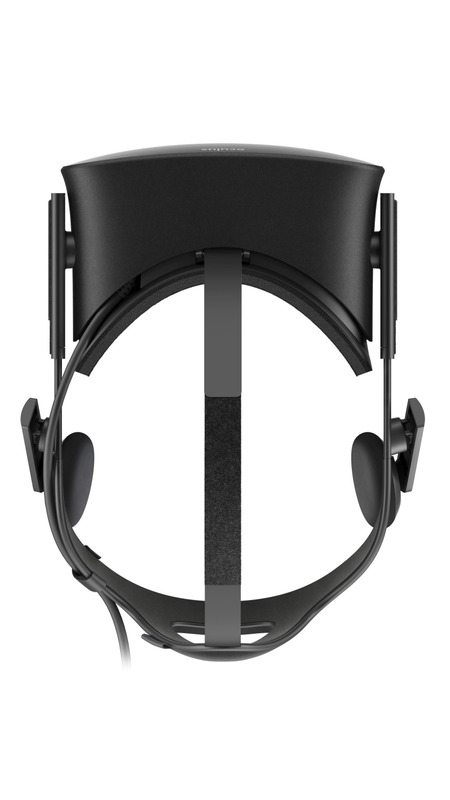 The Rift Headset is designed from the ground up to provide a balanced fit and long-term comfort. To achieve this, Rift features high-precision optical assemblies and functional mechanical systems that are wrapped in soft materials to t provide comfort, distribute weight, and conceal complexity. A canopy of tensioned fabric stretches, enabling precise lens spacing adjustment without exposing telescoping or other visually obtrusive features allowed us to maintain a seamless appearance. Microfiber-lined, TPU straps integrate electronics, reducing visible cable connections. External fabric conceals the functional components of the motion tracking system, resulting in a simple, approachable overall appearance. Rift's strap system provides integrated connection points for adjustable, on-ear headphones without the need for extra cabling. 3D, spatialized audio technology enables virtual sounds to originate from any point above, below or behind you. The open nature of the drivers allows for minute amounts of crosstalk, mimicking the way your ears naturally detect direction and providing a connection back to the real world. Additionally, the integrated audio can be removed and replaced with any third-party audio products. 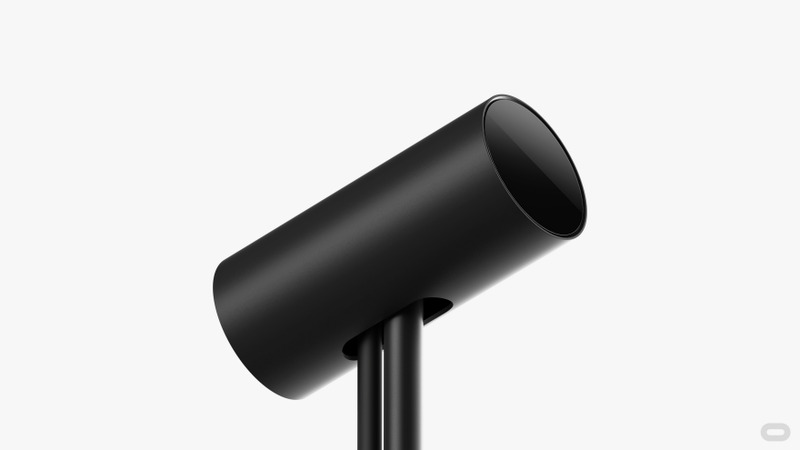 The Rift's external sensor captures your movements and translates them in the VR space. This allows you to look around, examine virtual objects up-close, and move around "inside" virtual spaces, as if you are really there. 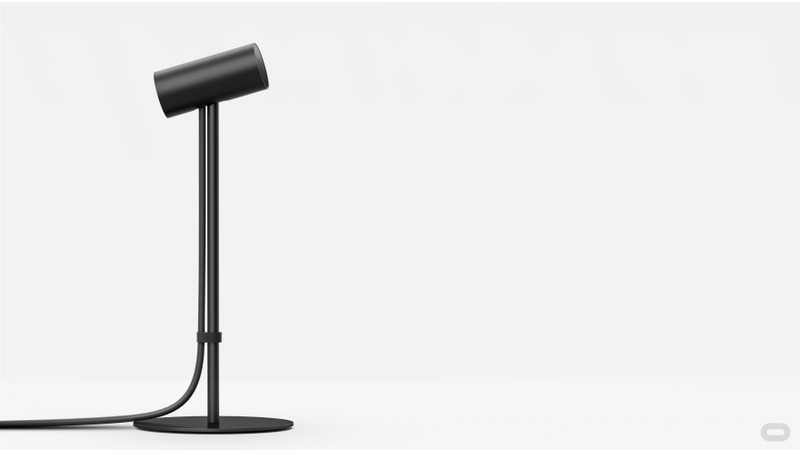 The Oculus Sensor is an infrared (IR) camera that tracks a unique arrangement of IR LEDs hidden under the plastic and fabric of the headset.. Like a light fixture or a mirror, it is a honest, geometric design form that allows the sensor to blend comfortably into the home. For overall flexibility and custom setups, the body of the sensor can be removed from its stand and attached to any standard ¼-20 camera mount. An arrangement of IR LEDs embedded in the rear triangle allows a single sensor to see and track you no matter where you look. 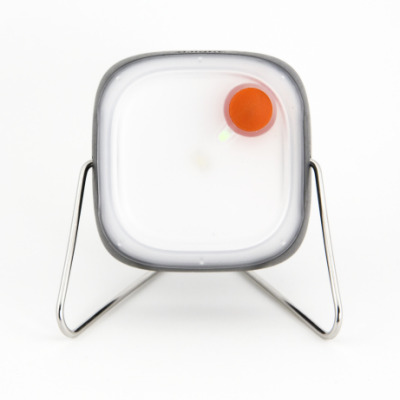 A small, comfortable form that fitis into the palm of your hand and allows you to intuitively navigate virtual worlds. 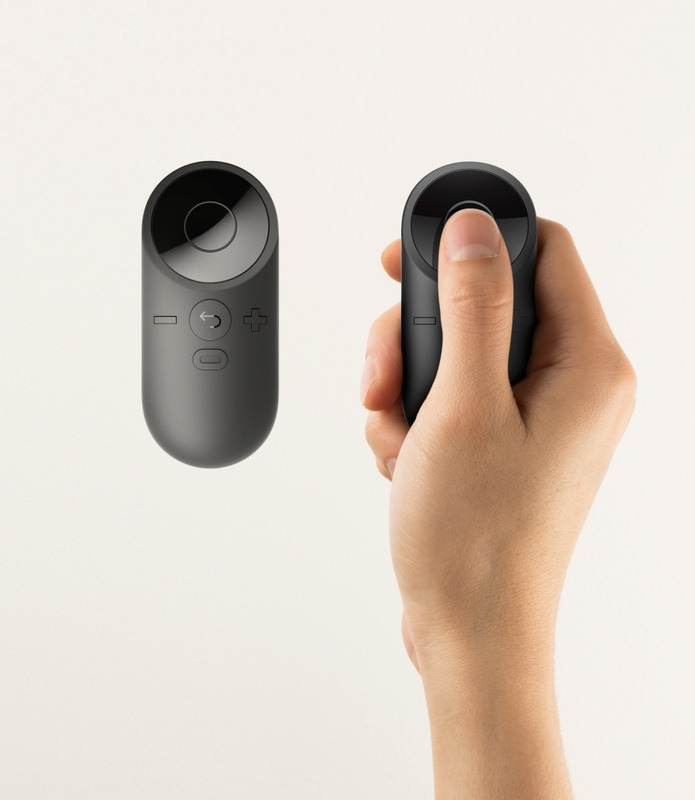 Rift's remote functions as a talisman that melts away as you focus on more important things. While the overall design of Rift is a system comprised of intricate hardware and software, and at its core, it acts as portal to new worlds. To allow people to lose themselves in the virtual world, we had to develop a design that is intuitive on first use and comfortable. The design and engineering teams have fought endlessly to reduce both the real and perceived weight of the headset. 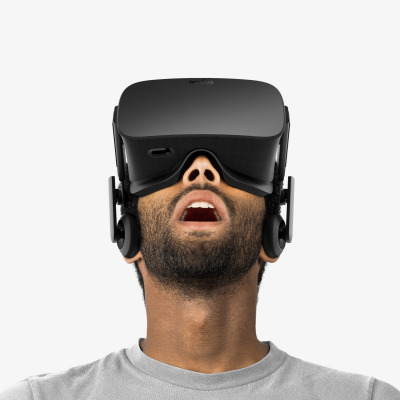 Done right, people will simply forget the headset exists as they become immersed in a new reality. Total is more than the sum of the parts. Rift brings a long transformative technology to life. The combination of technologies, ergonomic decisions, and software work together in concert. 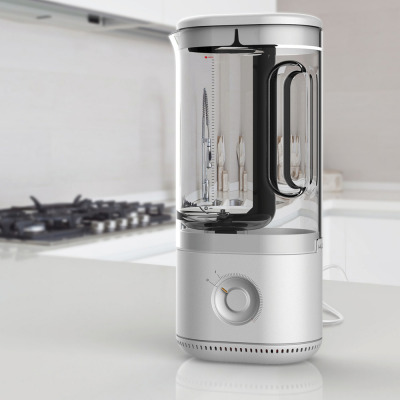 It is a true leap in the approach to consumer electronics and is poised to fundamentally change how humans consume and interact with information. 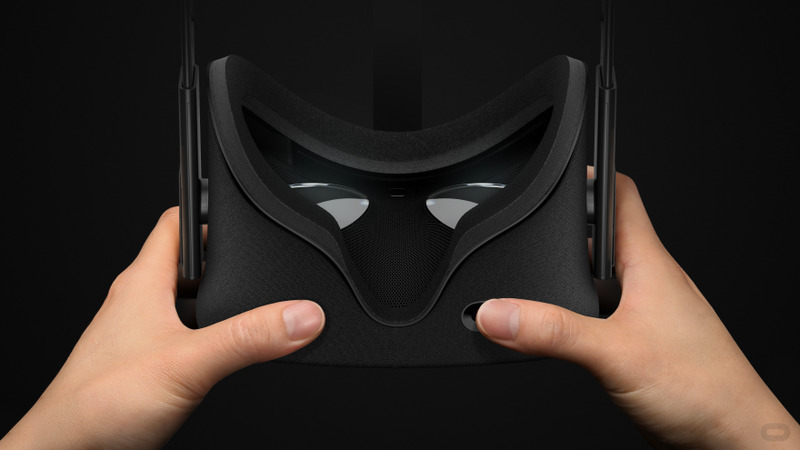 With Rift, the future isn't as far away as people once thought. The experiences and opportunities are limitless. 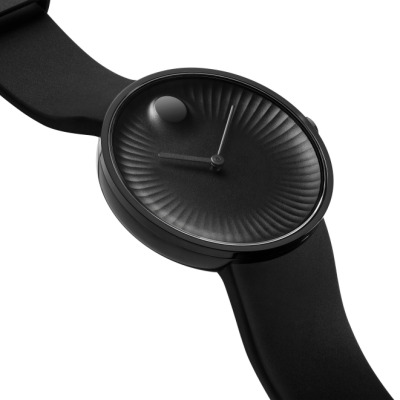 Impressive design fidelity and level of design detailing - truly exquisite industrial design. Amazing engineering to pack all the technology into a compact form factor. Impressive that the accessories have the same attention to detail.